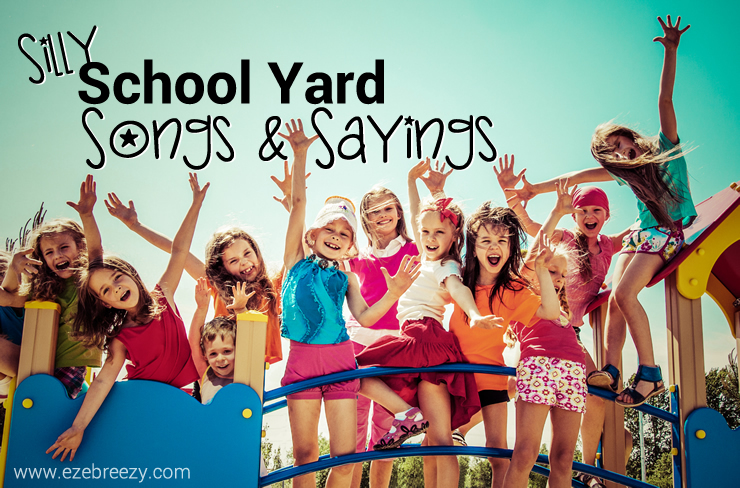 It’s time to take a trip down memory lane with some silly school yard songs and sayings! How many do you remember? And for some reason, at that very moment, I was immediately transported to being a kid and singing…”made you look you dirty crook, you stole your mother’s pocketbook, you turned it in, you turned it out, you turned into sauerkraut!” What? I am not even sure how I remembered that little diddy. But then it got me thinking…what other silly song and rhymes did we sing as kids? 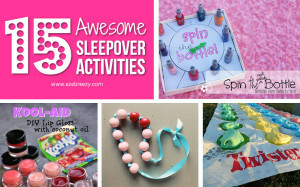 I remember singing these on school playground and even during sleep overs with friends. 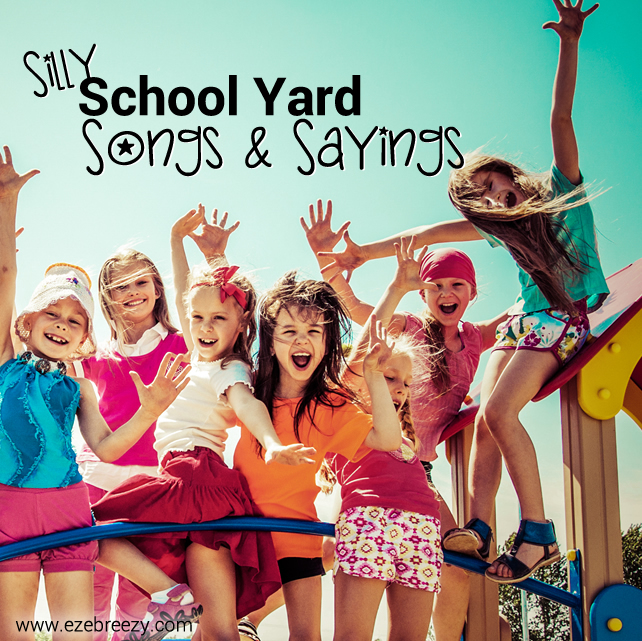 Maybe you’ll remember a few of these silly school yard songs and can pass them along to your kids! You turned it into sauerkraut! Now here is the fun tricky part: You keep singing the song, but you start by just humming the tune of each line and do the hand motions. So the first round, you sing the whole song. But the second time you sing the song, you just hum the tune “In a cabin by the woods” and make the hand gesture. The third time, you hum both the 1st and 2nd lines while just doing the hand gesture and then sing the rest. You keep going until you are humming the whole song and just doing the hand gestures. And that’s how the silly song ends! Please don’t show your eyes* to me. *You can repeat this rhyme many times by just using a different part of your face in the last line. The tricky part is to hide that part of your face with your hands and keep it covered with you repeat the next verse. This rhyme can be repeated many times. Each time, use a different part of the face in the last line. Hide that part of your face with your hands and keep it covered while you repeat the next verse. Use your elbows to do the clapping part while you are using your hands to cover the part of your face. On the last chorus, you end the verse with “Boom”. Had a wife and couldnÕt keep her. And you must go out. 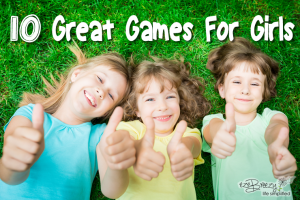 **Game starts with kids putting their feet in circle. You ask the question, “How many pieces do you wish?” to one of the players. They say a number. Going around the circle, you count that number of feet. The person you land on is out. You can play with 1 foot or both feet. The flower was dead, so this is what I said. Down Down baby, do the roller coaster. Sweet sweet baby. Never wash the dishes. Naughty naughty baby, jumping out the window. Itchy itchy soda pop, you are out. 1, 2, 3, 4, 5. . . .
What silly song and sayings do you remember from childhood?